I'm a co-host of the Backward Compatible Podcast. 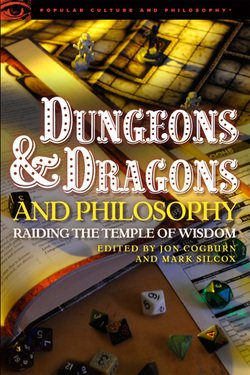 I have published a number of essays such as "Minecraft: Building a Case for the Authenticity vs. Validity Model of Video Game Design", in Understanding Minecraft, "‘YOU GOT YOUR GAME PLAY IN MY ROLEPLAY!,’ D&D and the Game Versus Story Problem," in the culture and philosophy series Dungeons and Dragons and Philosophy, and various entries through Fisher Imprints such as "Authenticity Versus Validity; a New Approach to Video Game Design" in Cultural Perspectives of Video Games: from Designer to Player and others. Where available, links to these and other works have been made available below. As a writer, researcher, and Alternate Reality Game puppet master, I have created and run over eleven alternate reality games and trans-media related properties including most notably "Deus City," "Conspiracy Asylum," "Electron Innovations" and "Dark Dealings" -- the latter two being primarily student driven via the University of Texas at Dallas ARG lab. I enjoy opportunities to collaborate with fellow artists across all media, locally and internationally through such entities as "Inter-Disciplinary.net" for which I have recently written, presented, published, and edited in the areas of Video Game Cultures and Transmedia Storytelling in such places as Oxford, UK and Sydney, Australia. Working with Dr. Tom Linehan on the Bill and Melinda Gates "Serious Games for Professional Development" project in 2012, I was presented with the opportunity to lead the design team as well as cooperate with research partners such as The Education Data Collaborative and The University of Michigan: Teaching Works. Below is a more complete list of my work. Thanks for looking! 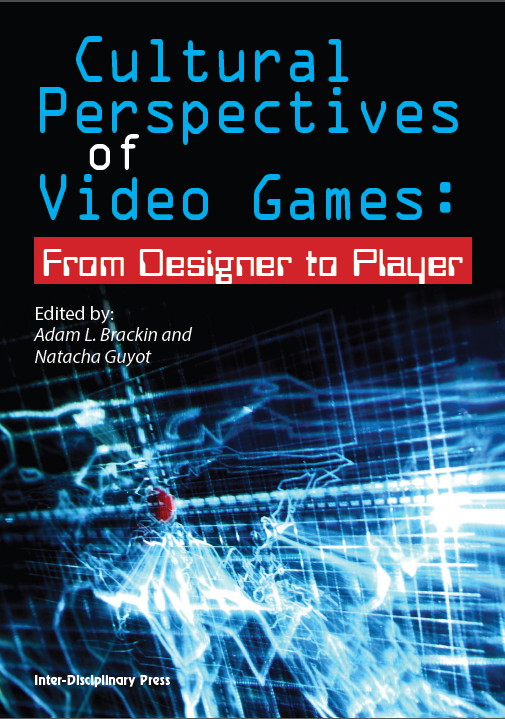 (2014) Author - "Minecraft: Building a Case for the Authenticity vs. Validity Model of Video Game Design", in Understanding Minecraft, McFarland Press, ISBN: TBD. (2014) Co-Editor - Stories in Post-Human Cultures, e-book (Edited by Adam L. Brackin and Natacha Guyot) Inter-disciplinary Press, ISBN: 978-1-84888-271-3. (2013) Author - “Ficto-Personal Communication: Defining Relationship-Based Communication with Fictional Characters” Inter-disciplinary.net Visions of Cyberculture Conference, Oxford, U.K.
(2013) Co-author - “Video Games as a Tool for Cultural Development for Individuals on the Autism Spectrum” (by Adam Brackin and Lisa Brackin) Inter-disciplinary.net Video Game Cultures Conference, Oxford, U.K.
(2008) Author / Creator - "Brackin Circular Model of ARG Development” in Tracking the Emergent Properties of the Collaborative Online Story "Deus City" for Testing the Standard Model of Alternate Reality Games, University of Texas at Dallas Press. (2013) Creator - “Non-linear Storytelling” presentation for Infinite Canvas / Infinite PDF iPad app. (2010) Writer / Director, Freelance Jax Productions “Omega Code” AKON Live Event, Xerobank “Where is Toad Adams?" Extended Experience for Cyberkill, Trapdoor Press. (2010) Professor / Director - UT-D ARGlab 2.0: “Sunshine Books 4 Less” Alternate Reality Game, “Priestly Industries” Alternate Reality Game, “The Lovely Becka Belle” Alternate Reality Game. (2009) Professor / Director - UT-D ARGlab 1.0: “Electron Innovations” Alternate Reality Game. (2008) Writer / Creator - “Conspiracy Asylum“ Interactive Online Fiction Extended Experience 'Prequel' to "Deus City" ARG. (2006-2007) Writer / Creator - “Deus City“Alternate Reality Game. (2011) Creator - “Non-Linear Storytelling“ Prezi Presentation (viral 55,000+ views) Featured by prezi.com on: http://prezi.com/explore in the “Design” category.